In early 2014, I suffered an auto-immune syndrome called Guillain-Barre. The good news is that it’s a self-limiting syndrome that does not recur and can be recovered from, but the bad news is that it is often devastating. It wreaked havoc on my nervous system, specifically the motor nerve function of my limbs. It was brought about from an upper respiratory infection that I had at the end of Winter, combined with having largely overdone myself, which is a whole story in and of itself. The syndrome attacked my arms and hands most significantly, leaving me with almost no use of my fully emaciated arms and shoulder blades. My legs were also heavily affected, although a bit less. I never fully lost my ability to walk (if someone could stand me up), but a breeze could have blown my hobbled body over. I was lucky that it did not affect my sensory nerves, and also that the damage did not reach into my torso. It can paralyze your respiratory system and people can be on ventilators for months (the syndrome can kill you). I was 5’ 8” and 112 lbs. It was 6 months before I had recovered enough to go back to work. I am a Certified Rolfing® Practitioner, and it had been my full-time profession since 2005. My job is physically demanding in its own way. I work closely with people through assessing and balancing their structure manually. Ironically, my hands were the most damaged part of my body, and the limbs tend to heal from proximal to distal. However, after six months of recovery I had barely enough strength and coordination, that with some improvisation, I began giving sessions again. Another six months later, in early 2015, despite not having all of my motor nerve function and strength back, I started to feel like myself again. 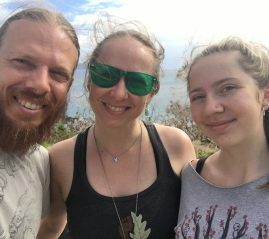 I would like to explain the mindset changes I made in those first six months of recovery, how I carried them through the rest of my recovery until now, and the role that MovNat played. My background is that I have been a somewhat outdoorsy person since my latter teenage years, in terms of camping, backpacking, trail running, meditating in the woods, etc. In 2005, I attended the Rolf Institute of Structural Integration in Boulder, CO, where I had an instructor who grew up in Guam. Although an American, this guy had childhood friends who were native. He described them walking barefoot over coral beaches “like pouring water out of a pitcher”. He described them climbing coconut palms with ease. He showed us pictures of indigenous peoples and had us observe their physical structure, comparing it to the domesticated structures we were accustomed to seeing. I found this fascinating and it planted a seed. However, my understanding of what it meant would take time. So there I was, partially destroyed, needing to regenerate nerve tissue, whether it is simply the myelin sheath covering the nerve, or the axon cable inside the sheath, or the entire end of the nerve depending on the area. I knew that I could count on bodywork modalities to be of some help, and they were indeed palpably helpful to my regeneration. I also had PT and OT help. But there was a question of how to approach movement as regenerative therapy. My fitness history consists of multiple sports up into high school, and also heavier weight-lifting when I was younger, both of which contributed to poor mobility and existing back issues. 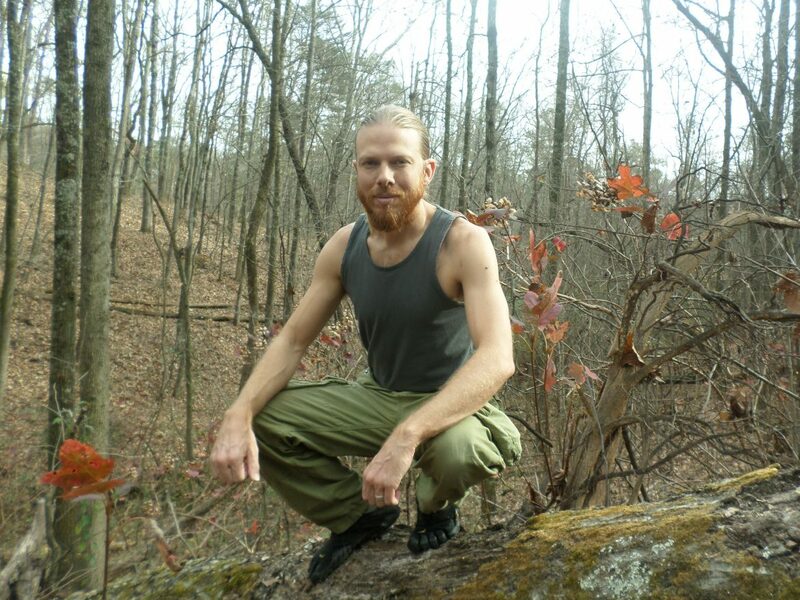 As an adult, my fitness mostly consisted of hiking and intermittent trail running. I had also explored some Yoga and have had regular QiGong practice for 12 years. First, there was the question about how much I should exert my system, wondering if allowing the body almost full downtime would help it to regenerate. But the body is not that simple. If we do not use things, we can lose them, as the brain and body will tend to conserve energy on things not seeming to need use. Also, being overly restful can weaken our energy levels and dampen our inspiration. In the end, I decided to go with my gut: I needed to show my body what I needed back. I needed to move. But how should I approach it? I needed to move in lots of different ways, to stimulate all nerve pathways possible. I started with swimming. I then began going to a local trail regularly. I felt like I intuitively knew something important when I was out there. Each time I would walk a little further, then eventually up and down hill, then faster over slippery rocks, etc. 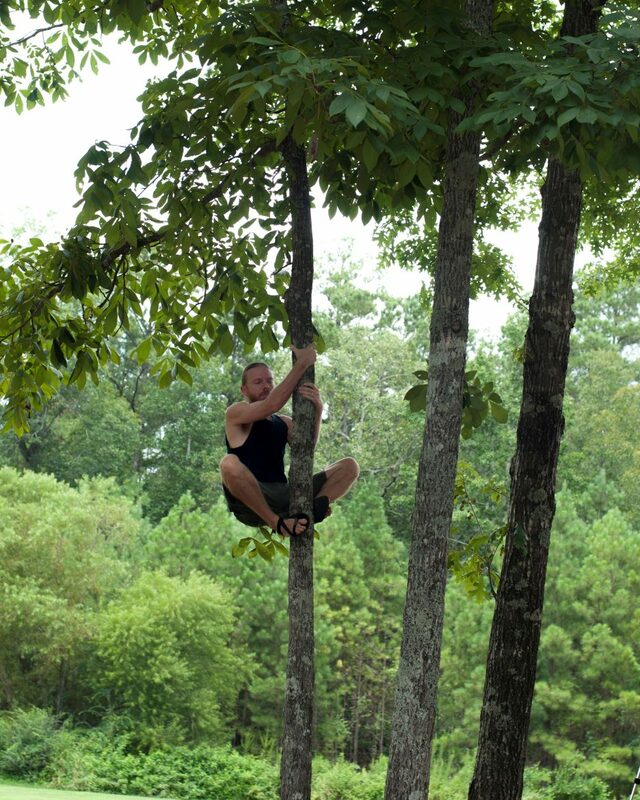 I started hanging from branches, too. Meanwhile, at home I added a chin up bar to a hallway, a rope off my deck, and some objects to lift. I also played with Iscrima sticks, used hand trainers, etc. During recovery, I had plenty of downtime to research. I picked back up studying things like tonic herbalism. I was introduced to the online community and philosophy of Rewilding. Understanding modern humans as a domesticated variety of human, in both the immediate and inherited genetic sense, helped me understand earlier experiences. It furthered my interest in foraging wild plants, hunting, gathering water, etc. At the same time, I became fascinated with Parkour, and not for the same reasons I would have as a younger man. It was through this line of inquiry that I was exposed to MovNat. 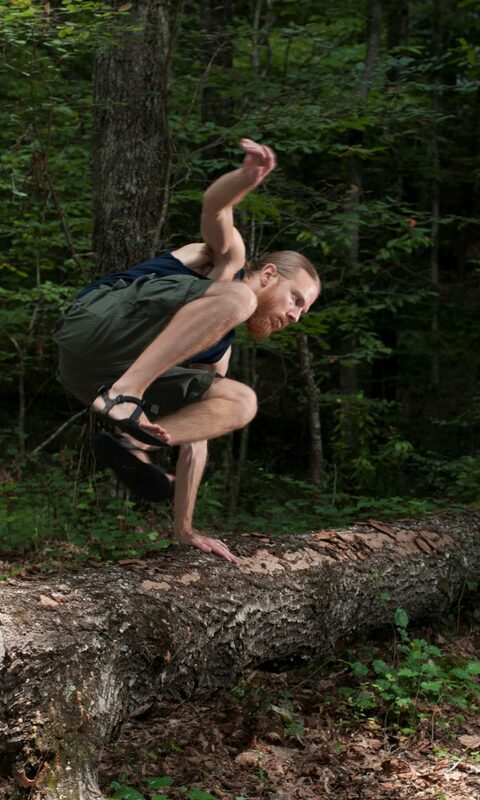 I heard Erwan Le Corre and other movement teachers interviewed on the Rewild Yourself Podcast. This new information helped shape my approach to the next six months of recovery and beyond. 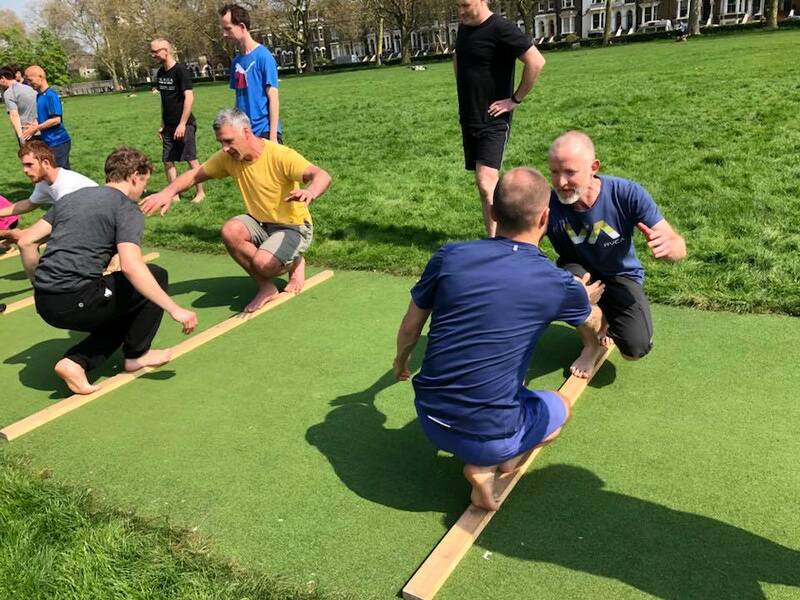 I now realized that moving naturally is a “thing”, and that it can be very sophisticated and elite, and yet, scaleable and progressive with a rich philosophy and methodology applicable to everyone. I started studying and practicing MovNat’s online material. I became enticed by the idea of following through, and after my recovery, to complete Levels 1 and 2 and become an MCT and help others. Several elements came together for me: my own recovery needs, my broadening understanding of who we are as humans, and the realization that I had finally figured out another part of what I would like to offer people as a teacher. In early 2015, I registered for Levels 1 and 2, occurring during the Equinox in March in Denver, with Cameron Pratto. Keep in mind that this certification took place a year after the onset of my illness, 6 months after I have been back to work (body still partially emaciated, hands 50% compromised), and that at the time I registered, I still had significant recovery strides to make. Not to mention that I did not understand fully what I was in for! I had about 2.5 months to prepare. I worked diligently on the material, and my recovery made noticeable strides. I loved it. I had, through meandering around, stumbled upon an actual path, at the right time when I acutely needed it. Not only that, but having this path was lifting my Spirit and giving me a focused goal. When our spirits are lifted, it can only help us heal. During the course, I passed Level 1, but failed the Level 2 test. The certification was mind-blowing. I loved it, and it was one of the more significant challenges of my life. I was so sore it took me 10+ days of recovery before I felt like I could train normally again. And I grew from it. I noticeably gained another stride in muscle weight. Although I had more work to do to finish my recovery, I had made significant strides. I worked hard and indeed passed Level 2 within the 3-month window after the course, partly with the help of a new friend and fellow MCT Level 2 and Parkour teacher in Birmingham, Joshua Morris. I was extremely proud of myself, and a bit surprised. Cameron remarked at how significantly my movement had improved since the course. I have been teaching Natural Movement® ever since. I use elements of the system with my Rolfing clients, and teach indoor and outdoor classes and give private movement training sessions. 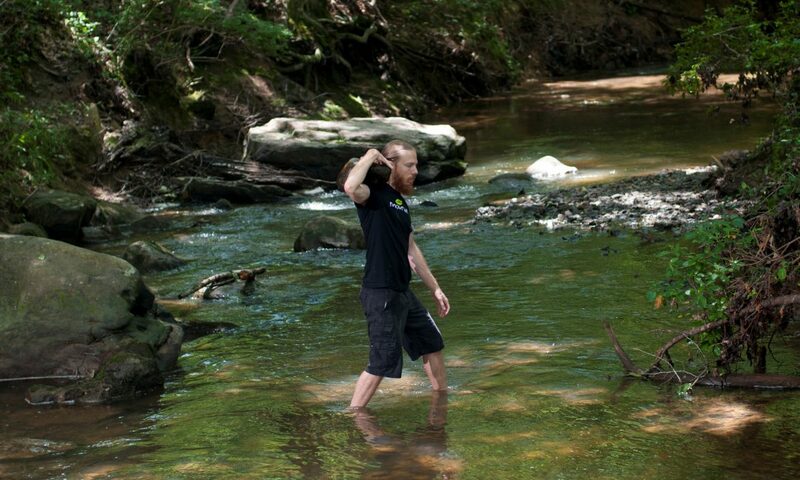 I am amazed at what Natural Movement can do for our physical structure and function. Although I have no way of quantifying the difference that Natural Movement practice made in my recovery, I can say with confidence that, on several levels, MovNat helped bring my body back, including beyond my recovery. Many thanks to the MovNat method for providing me a movement path at just the right time. Today I have recovered all of my motor nerve function minus some small areas in my hands’ intrinsic muscles. Those slight deficits remain a reminder of the journey I have been through. Other than that however, I am proud to report that I am in so much greater shape than I ever was and so much more capable and in love with movement than I have ever been. Andrew Brown lives with his wife and daughter in Birmingham, AL. 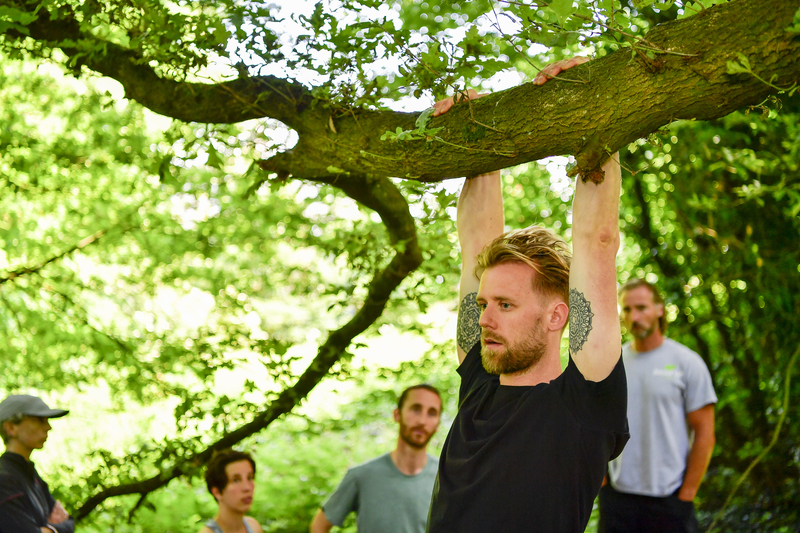 Andrew has been a Certified Rolfing® Practitioner since 2005, working full time in Birmingham, and has been teaching Natural Movement® since 2015. 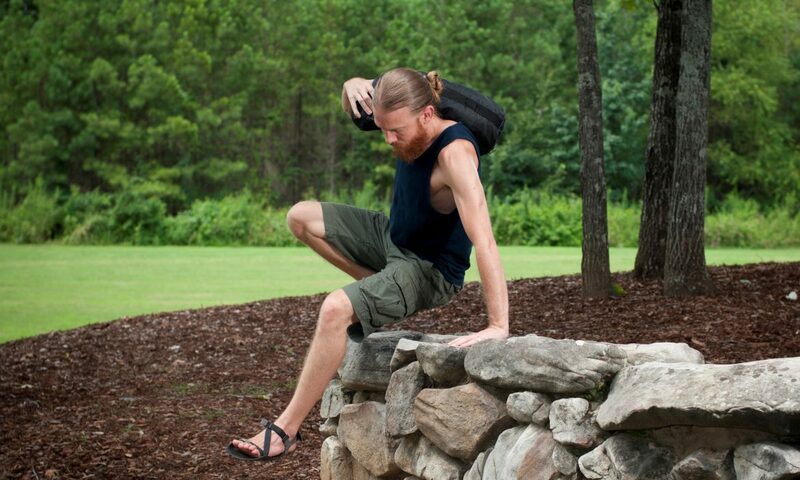 He and his wife Lauren, who is a massage therapist who specializes in Manual Lymphatic Drainage and is a Registered Yoga Teacher, co-founded the group EMBODY Manual and Movement Therapy in Birmingham along with several colleagues. He can be contacted at OrganicMovementBirmingham.com, RolfingBirmingham.com, and EmbodyBirmingham.com, and on Facebook at Organic Movement Fitness Alabama.